As you always enjoyed hearing a Dvar Torah, I am writing to you this letter and I know that from on high you are reading this. Right before we moved here in 2010, you told me that if we were looking for the promised land, this is a Jewish wilderness. However, you encouraged us to be a light in the darkness. You regularly reminded me that Hashem will take care of us and that you are "just his messenger". You did not allow me to slack off from our main focus. Just last Friday we discussed that the emphasis until Pesach should be sharing the joy of Purim and the message of Pesach. Fundraising can be done afterward. Of course, we also spoke about family, raising children, inspiring the future, ensuring people value their Jewish heritage, Israel and doing good; your favorite topics to discuss. I looked forward to our weekly learning, whether it was studying Pirkei Avot or chanting the weekly Torah portion. You were excited to take a break from the hectic day and put on tefillin and take a moment to daven. You would thank me for adding some light to the busy day. This gave my week a boost. Andy, you were a guide and mentor to me and to many. I will miss your insight into what to do and how to do it. As a leader, you knew that people looked to you as a role model, and you set the bar high by example. Many may look at themselves as ‘not as religious as Andy’, yet they still know it is important, and were encouraged, to do more good. You often reminded me of what Mordechai said to Esther in the megillah, (and I'll paraphrase): Hashem will ensure that the good that needs to be done in the world will be accomplished. The question is what role do we play, and do we get to be His messenger? Andy, I give you my word. I will continue to follow in your ways. I will continue to be involved in this community, both the Jewish community and the community at large. 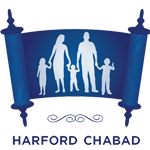 While you are pushing us to do more from on high, we will be the foot soldiers with boots on the ground, continuing to make Harford County a place where Judaism thrives, where care for our neighbor is valued and where if we see a problem we ask, what can I do to be part of the solution. In the secular world, they say rest in peace. Andy, do not rest in peace! Advocate on high for the Jewish people! Advocate on high for Harford County! Advocate on high for the family of the young joyous Tripp Johnson, whose happy life was cut short together with yours! Tripp represents to me the month of Adar, the month of joy. As a community, we are in mourning, but we will continue to serve joyously and happily to make a real positive impact. In the Purim Megillah we read of the feast that the King made for all inhabitants of the land. The Megillah states “and the drink according to the law was not lacking”. Our Sages say the meaning behind this is that the King accommodated the Jews and their standards of Kashrus so much so that even the drink was kosher! The Jews were not on the highest spiritual of levels at the onset of the story of Purim, so why couldn’t they just show up to the party and eat some fruit and drink water? Did they need to bother the unfriendly Persian King to make sure they had Glatt kosher foods and the best Kosher wine? The answer to this question is a simple but powerful one. A complete Jew is a proud Jew! If we are hiding our identity or if we are not forthright with our identity as a Jew, then our Judaism is something secondary to us. Being proud of who we are is a sign that we are complete! True, sometimes we do not always act 100% in accordance with our essence, but it doesn’t change the fact that that is who we are in our essence. A complete human being is someone who has all of their organs intact. If someone has a blemish, they often (even though they shouldn't IMHO) attempt to hide it because they want to present themselves as a complete person. Being a complete Jew is the same. The message of the Megillah and the Purim story is that when we are proud of who we are, we earn the respect and accommodation of even the unfriendly Persian King. This message is as true now as it was then. Living in a highly assimilated world, it is easy to want to blend in and not burden society with our Jewish needs. But in fact, if we are in touch with who we are, there can be no alternative to living and acting as proud Jews! When we do this we earn the respect and accommodation of society around us. In the Megillah of Purim, in a few weeks we read of the feast that the King made for all inhabitants of the land. It begs the question, it seems hypocritical and burdensome. The Jews were not on the highest spiritual of levels at the onset of the story of Purim and why couldn’t they just show up to the party and eat some fruit and drink water? Did they need to bother the unfriendly Persian King to make sure they had Glatt kosher foods and the best Kosher Wine?? The answer to this question is a simple but powerful one. A complete Jew is a proud Jew! If we are hiding our identity or if we are not forthright with our identity as a Jew then our Judaism is something secondary to us. Being proud of who we are is a sign that we are complete! True, sometimes we don’t always act 100% in accordance with our essence but it doesn’t change the fact that that’s who we are in our essence. A complete human being is someone who has all of their organs intact. If someone has a blemish they often (even though they shouldn't IMHO) attempt to hide it because they want to present themselves as a complete human. Being a complete Jew is the same. The message of the Megillah and the Purim story is that when we are proud of who we are we earn the respect and accommodation of even the unfriendly Persian King and he goes out of his way to accommodate our Jewishness. This message is as true now as it was then. Living in a highly assimilated world it is easy to want to blend in and not burden society with our Jewish needs. But in fact, if we are in touch with who we are, there can be no alternative to living and acting as proud Jews! We all want to have meaning in our lives. Every person I know does not want to go to work merely to make money. We go to work to make an impact on the world. The Dr. wants to help people live a healthier and longer life, the lawyer wants his client to receive justice, the bagger at a supermarket wants the food packed correctly so the customer does not hurt their back with a bag that is too heavy nor the glass jars to crack. 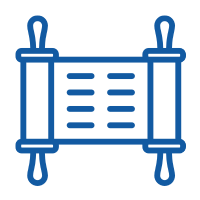 In the non-profit world, they should, and many do, focus on their core mission. From an organization eradicating disease in a developing country to a synagogue/JCC providing access to Jewish experiences in a rural or not so rural community. The Torah details how to do so; by following the details of the guidebook, doing our best to increase in our observance of the Torah and its Mitzvos. Fulfilling the rituals as defined by Halacha, together with the spirit behind the rituals, becoming truly spirit and ritual infused, known in modern parlance as spiritual. When we view ourselves as a shining light, we automatically act more in line with our self-definition and act in accordance with that light. A Jew in Harford County once told me that he is a “bad Jew” and I will only see him on Yom Kippur. My response: “You are a good Jew and I can prove it, I will see you on Yom Kippur”. I then continued that he can be a good Jew who does better by doing more the day after Yom Kippur; to infuse Judaism in their daily life even if I will not see him till the next Yom Kippur. The specific example I gave was downloading the daily Torah study or the Rabbi Gordon app from HarfordChabad.org/app and study daily on your commute. Meaning comes by defining ourselves properly and then taking an action that proves that definition as true. Moses breaks the tablets and G-d tells him Asher Shibata, which the Talmud explains means Yaashar Koach, thank you for breaking them. Why? Why would G-d say thank you? If Moses thought the Jews were not deserving, should he not give the tablets back? Why did he break them? Why did he not sell them on eBay? Moses wanted to tell the world a message; sometimes you connect to G-d through whole tablets, yet at times, we connect to G-d through broken tablets. Moses was saying that even in one’s broken and incomplete moments, you can find G-d. When we, in the United States, are experiencing conflict, at war, our soldiers and military bear the burden of sacrifice, of cracks and of brokenness. I share with you, that despite the sacrifice and sometimes because of it, we can find light. Moses teaches us that brokenness is not for naught. Even during times of challenge, when we recognize that I am where I should be by divine design, that in this moment of adversity I am connected with G-d who is greater than me, this awareness brings us a sense of meaning and joy. Joy does not mean fun! Life, while it is not always fun, can always be meaningful. Now the crack is no longer bad; it is an opportunity to allow the light of G-d in. For those experiencing conflict themselves, or supporting those that are, it is a moment that the light of G-d can illuminate the dark world. Now THAT is joy! Yes, we pray for revealed good as we do not want brokenness. Yet it exists. Let us remember: the crack is how the light gets in. See the light or be the light! There is an old expression, “the clothing makes the man (person).” Google attributes this to Mark Twain, regardless, I beg to differ. Oh yes, on a very basic level, if you dressed like a slob you will be perceived as being a slob, and if you are dressed in a nice suit and tie, clean, neat and perfect, you are associated with success, being organized etc. That said, I think the person makes the person more than their clothes. As parents on the relentless journey of raising a family we spend enormous amounts of time and money getting clothing for our children. Clothes that fit properly (and are then outgrown in what seems like minutes) and look good on our children, but still, it is not the clothing that make the man/kid. When I hear from the teachers at school, that my kid left his lunch at home and his siblings all gladly ponied up something from their lunch box to make him whole, that to me is what a mentch looks like, regardless of what they are wearing. When I hear a story about a child of a family that I know that was “sneaking” extra snacks in her lunch to hand to a child from a less affluent family in her class, that to me is a what a mentch looks like, regardless of what they are wearing. When I hear stories of one of my older kids, reading to their younger sibling, whispering, lets be quiet so mommy can sleep a little longer , that is what a mentch looks like. That’s what cool looks like. So if the shirt is a bit too big or too small, and the pants a bit rumpled, so be it. I will take the former over the latter, any day of the week. Of course there are times when being a dressed like mentch is out of place, like when you are shoveling snow, and there are times when being dressed down in the shmates is also out of place like when you are at a business meeting. Indeed in this week’s Torah portion, where much of the discussion is about the clothing worn by the priests and high priests in the Temple, it is very specific. So much so, it would make a fashion magazine editor blush by its nuance. Now of course, like the “Royals” in England, our Priests are our representatives to Gd so we can’t let them go into the service looking plain and ordinary, so we have strict guidelines how they must dress. That said, I suspect that while the Torah put rules and regulations on how the priests and high priests were to dress, it put just as large a premium on how they acted and if they were a mentch. If I say I love you, but do not show it in how I behave, is it still love? If I act like and show you that I love you, but do not say it, is it not love? The deepest expressions of self are most revealed in the mundane actions. True love is expressed when doing a service for another, to fulfill their needs and wants. For example, when I take out the garbage, shovel the walkway, do the dishes or deal with a dirty diaper, none of which are my preferred way of spending time, yet I am happy to do it for my loved ones. I think this is the message the Rebbe gave in his inaugural address, 68 years ago. The practical action of a Mitzvah, with and within the mundane world, is where G-d’s essence is revealed. Being that the love of G-d, love of the Torah and love of the Jewish People are inseparable, when a Jew does a Mitzvah, which is written in the Torah, this expresses his love for G-d. The Mitzvahs are G-d’s needs and wants, by fulfilling them to make Him happy, this is the highest form of connection. On November 5th, 1990, a man named El-Sayyid Nosair walked into a hotel in Manhattan and assassinated Rabbi Meir Kahane, the leader of the Jewish Defense League. Nosair was initially found not guilty of the murder, but while serving time on lesser charges, he and other men began planning attacks on a dozen New York City landmarks, including tunnels, synagogues and the United Nations headquarters. If you knew nothing more other than the above statement, you may conclude that Zak Ebrahim is a bad person. After all, he is a son of a terrorist and a murderer! Many times we tell ourselves that we are the result of our circumstances. “I am a product of my upbringing and there is nothing I can do to change that”. Zak Ebrahim continues his story: "Thankfully, those plans were foiled by an FBI informant. Sadly, the 1993 bombing of the World Trade Center was not. Nosair would eventually be convicted for his involvement in the plot. El-Sayyid Nosair is my father." You see, Zak broke from his self-perception; one that he was indoctrinated in, one that said I am great and others who are not like me are vermin. Zak also realized that while he cannot change his father, he is his own person! Zak’s freedom comes from realizing that we can change how we view ourselves. We can see ourselves as a soul and a body and recognize that our mission is to make the world a better place! By changing our view of ourselves as stuck in a place based on our past to one that is empowered to change our future, we leave Egypt. We free ourselves from the shackles of anger, hate, and depression. By changing our view of ourselves we are liberated from the negative energy also known as our personal Egypt.